Chanteuse Country Canadienne née Marie Diane Bottrell, le 16 Janvier 1961 à London (Ontario). Marie Bottrell, Singer, songwriter, born in London, Ont, 1961. She wrote songs as a child and sang with her brother, sister and sister-in-law in the Whitestone Country Band, in her early teens. At 17 she began recording for the Mercey Brothers' MBS label. Her first hit, 'This Feeling Called Love' (1979) from Just Reach Out and Touch Me (MBS-2001), was followed by her greatest success, 'The Star' (1980), and by such popular singles as 'Flames of Evil Desire' (her own song) and 'The Ballad of Lucy Jordan' (1980), and 'Wonderin' If Willy' (1981), all from The Star (MBS-2003). Other hits followed 1982-6 for RCA (BMG), among them 'Lay Your Heart on the Line' and 'Does Your Heart Still Belong to Me?' (from A Night Like This, NKL1-0454), 'Everybody Wants to Be Single' and 'Lovers Moon' (from Everybody Wants to Be Single, KKL1-0517) and 'Premeditated Love' (included on Girls Get Lonely, KKL1-0559). Bottrell appeared in Canada with the (US) Grand Ole Opry in 1978, performed on German TV in 1980, and toured with Marty Robbins in 1981. A rival in the early 1980s to Carroll Baker and Anne Murray among Canadian country singers, Bottrell toured nationally, appearing in nightclubs and on TV, and recorded in Nashville. She received Big Country awards for 'outstanding performance, country female singer' (1979) and best country single ('The Star' 1980), and CCMA awards for female Vocalsist of the year (1983, 1984). 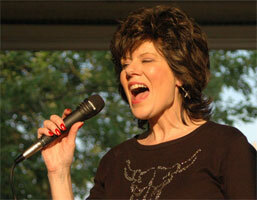 She was nominated annually 1979-86 for Juno awards as country female singer. Her career slowed in the late 1980s, but she made a comeback in 1991 with 'Lasso Your Love' for the Nashville label Cardinal. 1978 SP MBS ? (CAN) Just Reach Out And Touch Me / ? 1979 SP MBS ? (CAN) Always Having Your Love / ? 1979 SP MBS ? (CAN) Oh Morning Sunshine Bright / ? 1979 SP MBS ? (CAN) This Feeling Called Love / ? 1979 SP MBS ? (CAN) The Star / ? 1980 SP MBS ? (CAN) Walk Right Back / ? 1980 SP MBS ? (CAN) Flames Of Evil Desire / ?